We have a good news for you guys! 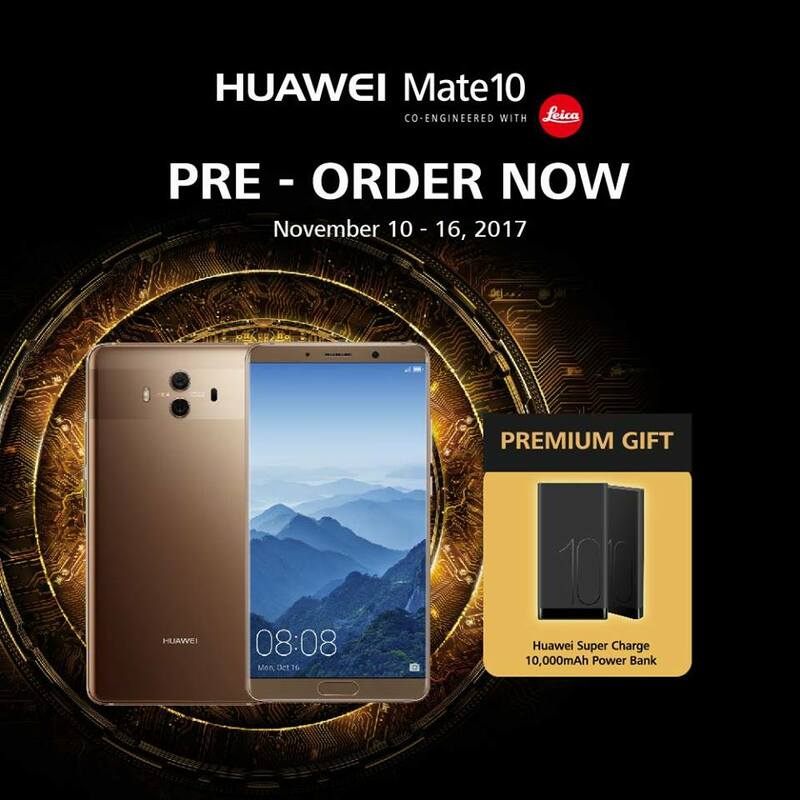 Especially for those who have been eyeing the newly launched Huawei Mate 10 smartphone. Huawei Philippines just announced today that pre-order for this phone is now officially open. What's shocking in this announcement is the handset's official pricing - it's only for Php32,990! Yes that's right! The new A.I-powered, Leica camera lenses-equipped, and flagship smartphone of Huawei will be sold in the Philippines for only Php32,990. That is one hell of an aggressive pricing for a device of this caliber. Honestly, due to the flagship smartphone pricing skyrocking this year, we really thought this one would be priced at least Php40K. But thankfully, we are wrong! Aside from the Mate 10's top notch specs and design, its processing system is also one of the most exciting parts of this phone. It is powered by a first Kirin 970 A.I. (Artificial Intelligence) processor working together side by side with Mali G72 MP12 GPU and NPU (Neural-Network Processing Unit), built to provide the fastest, smoothest, and smartest smartphone experience. Not to mention, it is one of the first devices to come with Android 8.0 Oreo right out of the box. The pre-order page has been posted by Huawei Philippines on their Facebook page. Pre-order starts today until November 16, 2017. Pre-order takers will also get a free Huawei Super Charge 10,000mAh Power Bank. Unit and powerbank will be available for pick up starting November 17, See page here for more details on the pre-order process.